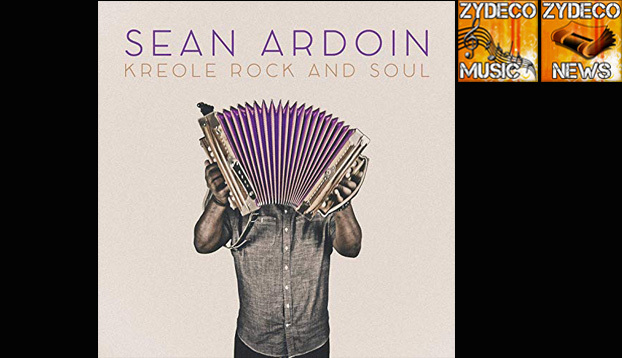 Zydeco Musician Sean Ardoin has been nominated for two Grammys as his “Kreole Rock and Soul” CD earned a Best Regional Roots Music Album nomination. His single “Kick Rocks” is also up for Best American Roots Performance. Two days before the New Year, I called Sean Ardoin as he was driving home from church. “Are you the first Ardoin to get a nomination?” I asked. “I am the first one,” said the zydeco musician. The Lake Charles musician is up for two Grammys as his “Kreole Rock and Soul” CD earned a Best Regional Roots Music Album nomination. His single “Kick Rocks” is also up for Best American Roots Performance. That’s Ardoin, as in the long line of Creole and zydeco music makers with Amede Ardoin, cousin to Sean’s grandfather Alphonse “Bois Sec” Ardoin; Sean’s own father, Lawrence “Black” Ardoin, and, of course his brother, Chris Ardoin. “It wasn’t just for me,” Sean Ardoin said. “It just solidifies the Ardoin name in the music because now, you know, the Ardoins have two Grammy nominations and hopefully we’ll be bringing back two Grammys." I can’t say what kind of driver Ardoin is, but I can tell you he uses the turn signal; it clicked like a loud old clock. After he made the turn, I would learn “Kreole Rock and Soul” isn’t just the name of his album. 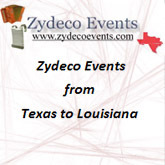 Ardoin felt zydeco made elsewhere may not be what we know as zydeco. “So I jumped out of the zydeco box and did Kreole Rock and Soul because Kreole Rock and Soul is music, culture and swag and vibe, you know?” he said. Hence, the new genre, but it comes with natural born roots. “I grew up in this, so it’s never going to not be a part of who I am,” said Ardoin, who then got into the weeds about his new genre. “What I did was, I changed the sounds, the instruments, the instrumentation. I gave it variances. 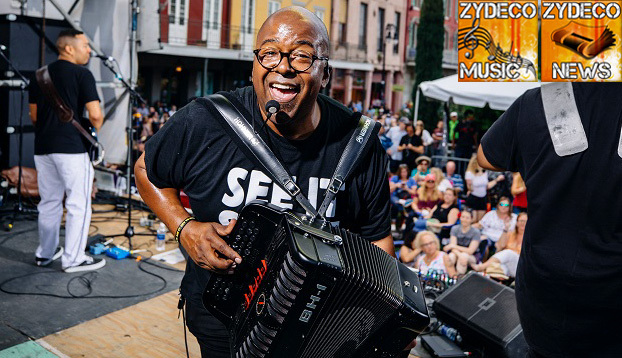 I did something maybe closer to what the world is used to hearing,” said Ardoin, “(while) maintaining the elements that make it zydeco — the accordion, the scrub board and the rhythmic center. “That’s what’s so important about foundation. See, I don’t see any reason for artists to keep continuing to recycle the same things because when you’re green, you’re growing. And when you’re ripe, you rot. And as long as I’m alive, I don’t ever want Creole music to rot. The other one is “Kick Rocks,” the Grammy nominated single. “I did not write that as a line dance song,” Ardoin said. But when Louisiana Red Hot Records and Lou Hill thought it sounded like a line dance, it came as a relief to Ardoin. But what about that familiar and not hard to handle riff in the song that was brought to my attention? “What they’re pointing out probably is the way I’m singing the last half of my verse,” said Ardoin. “Because it has a break, because I go, ‘C’mon mama, shake it for me.’ That’s the only thing. That’s the only similarities between the two songs. As he sat at a red light, we both wondered if “Kick Rocks” is the first Grammy-nominated line dance song.